This post is sponsored by Stage. All opinions are my own. 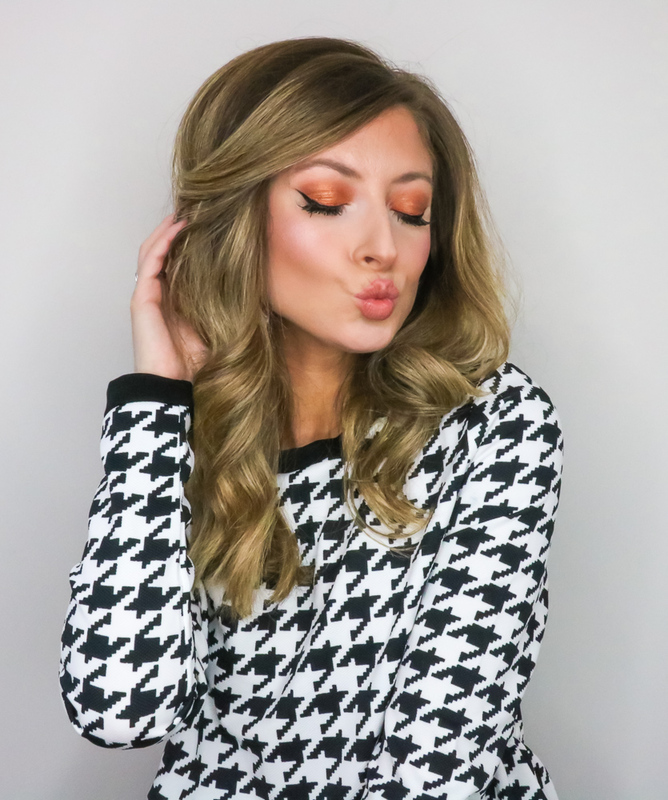 I'm so excited to share FIVE NEW BEAUTY products I just added to my Fall makeup routine... all from Stage! 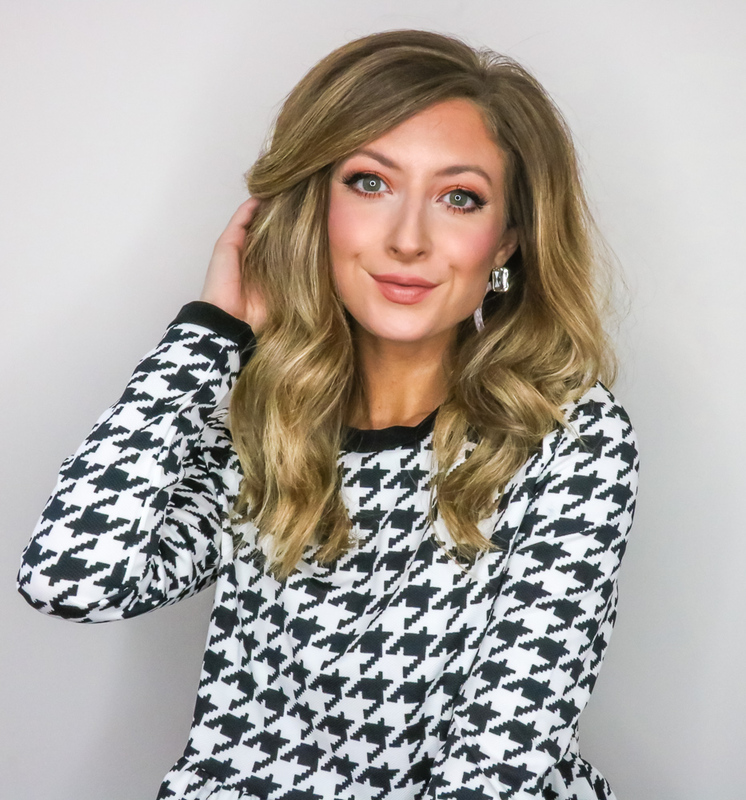 If you haven't heard of Stage, they offer clothing, shoes, accessories, home, and yes, BEAUTY (& skincare)! 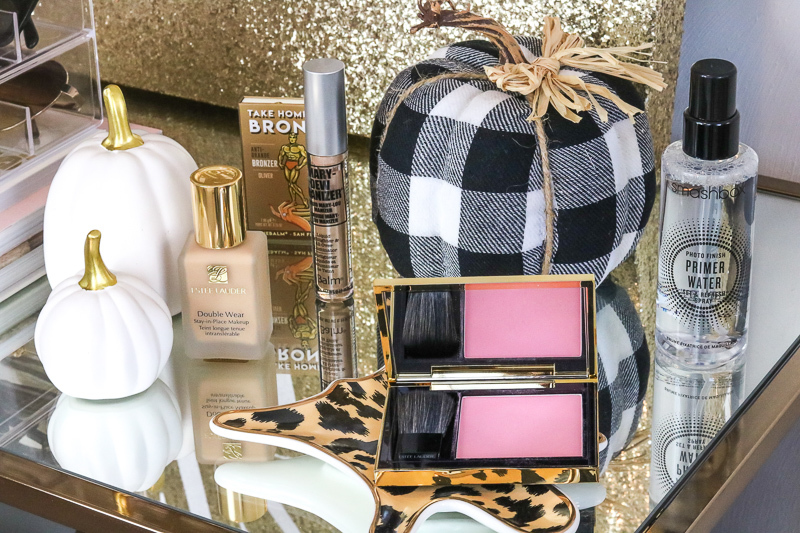 And right now they are having A Beauty Bash from October 10-23, in honor of Breast Cancer Awareness Month, where you can find 14 Days of Party Favors including brands included in today's post! 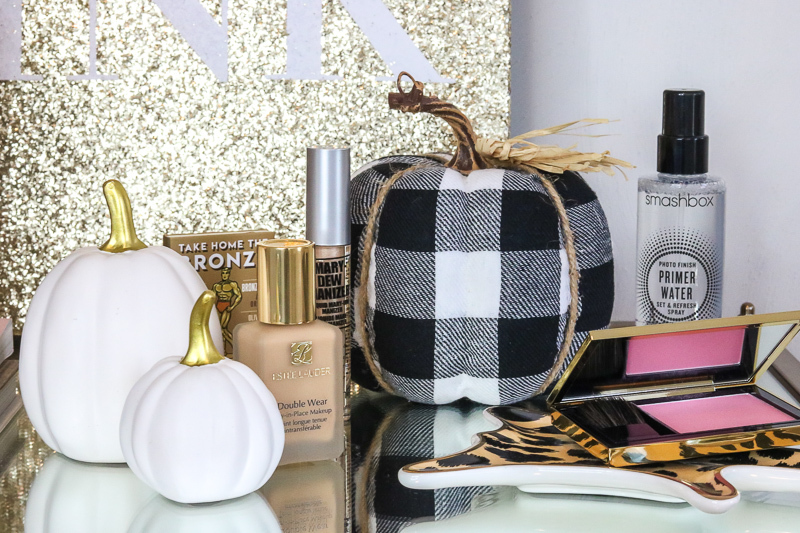 I'm so happy to take part in Stage's Pink October campaign and to share some fab beauty buys you'll love for the Fall season and that are easy to incorporate into your usual routine. There are several products I've really wanted to try for some time now and thanks to Stage I was able to snag them! 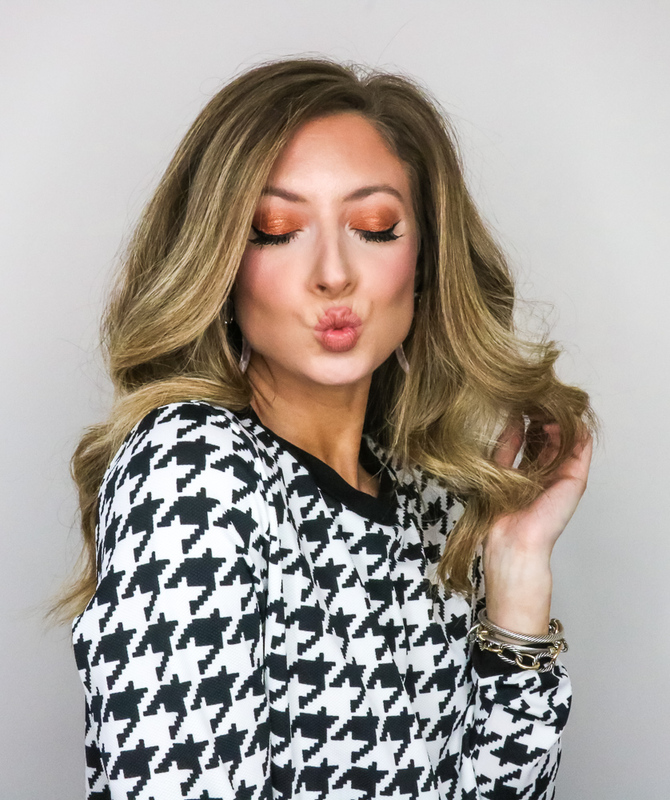 They have so many amazing brands like Estee Lauder, theBalm, Smashbox and more! If you've been following me long you know I LOVE a good foundation, bronzer, highlighter, blush, and setting spray. 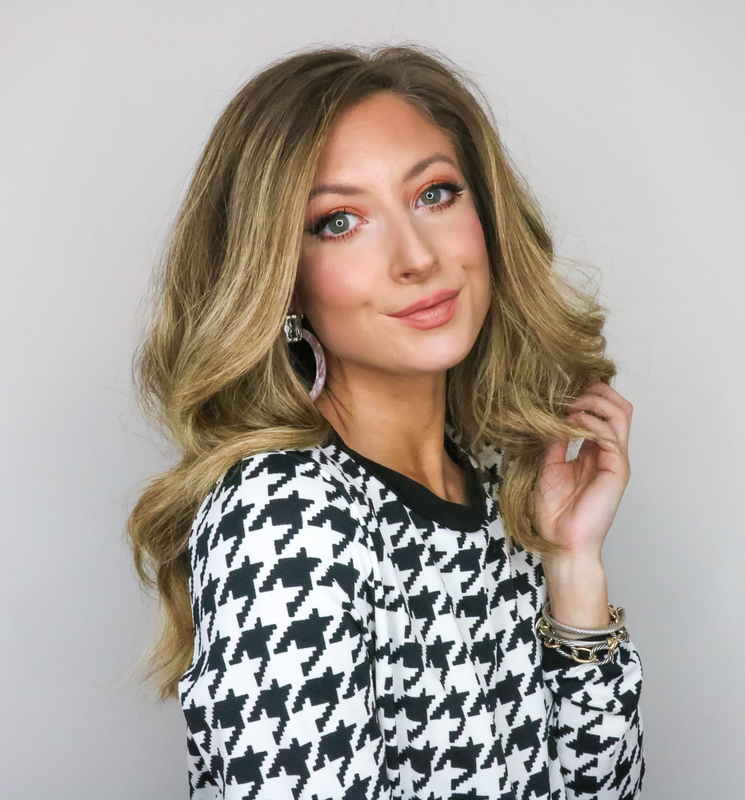 Five things I use every day and am always on the hunt for a new favorite (or two or three lol). Below you'll find each of the items featured above and my first impressions! 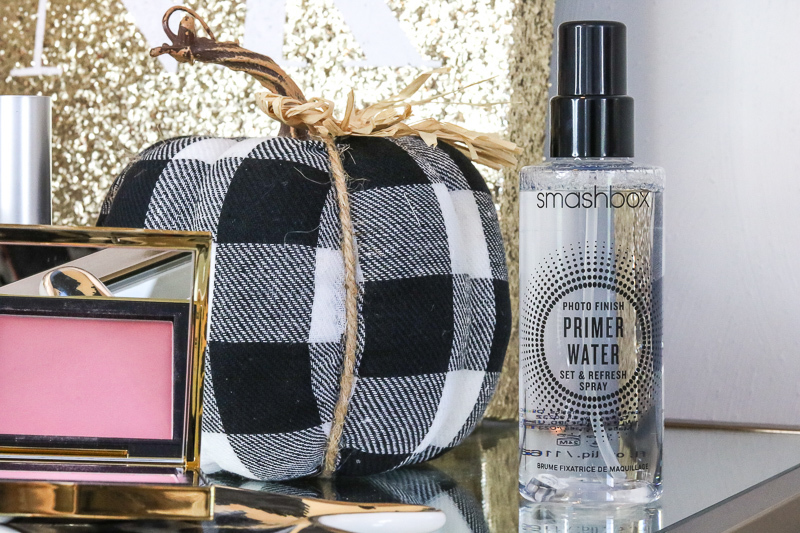 SMASHBOX PRIMER WATER - I've been dying to try this facial spray. It's a really cool concept and serves several purposes which I love! A 3-in-1 hydrating spray that primes, sets & refreshes makeup with electrolytes (AND it's silicone and alcohol-free). I actually used this primer water all three ways the day I took these photos. I sprayed it on after my moisturizer to hydrate my skin, then after my makeup was done, and finally a couple hours into the day when my face was feeling parched. It's the perfect product for Fall as the weather gets much cooler and dryer. 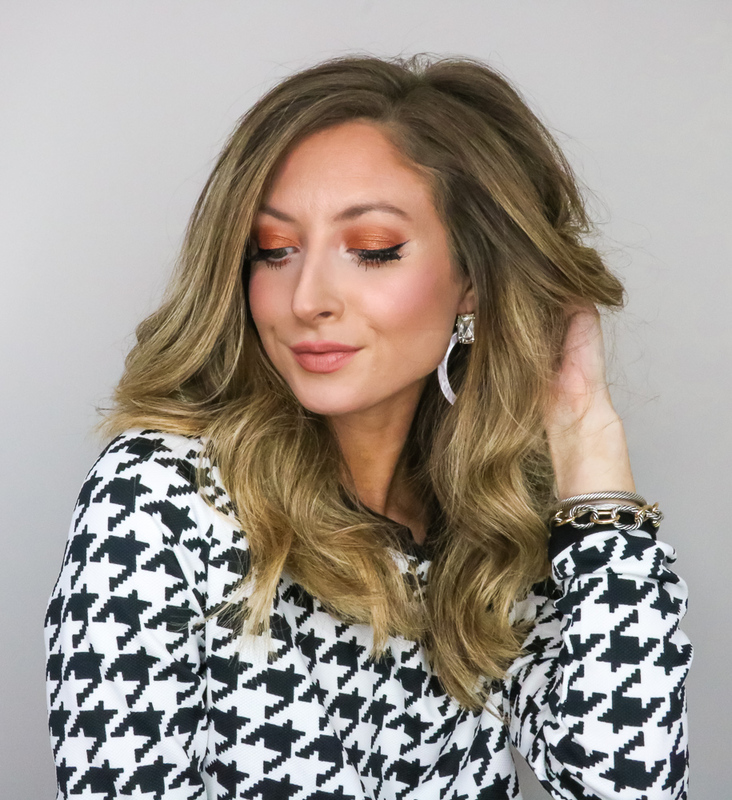 ESTEE LAUDER DOUBLE WEAR (2N2 Buff) - Oh! 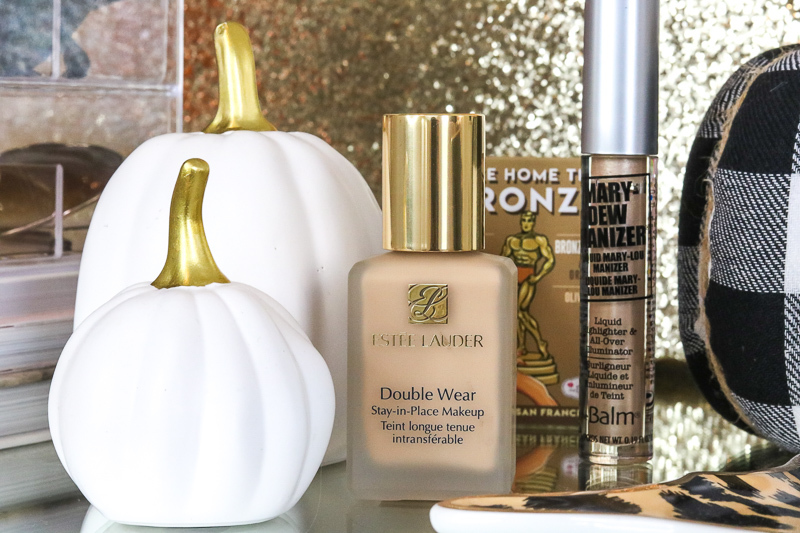 How I love this foundation! The coverage is fantastic and it's super long wearing. I got super lucky with the color I chose (I picked it out online). I chose Buff because it was the closest color to foundations I already own and I always go for a neutral undertone if it's offered. It gives the skin a nice dewy finish without being too thick or sticky, and again it's great for covering up imperfections or for creating a nice smooth canvas! THE BALM MARY-DEWMANIZER - I have always wanted to try something from theBalm and fortunately I found two that I love! 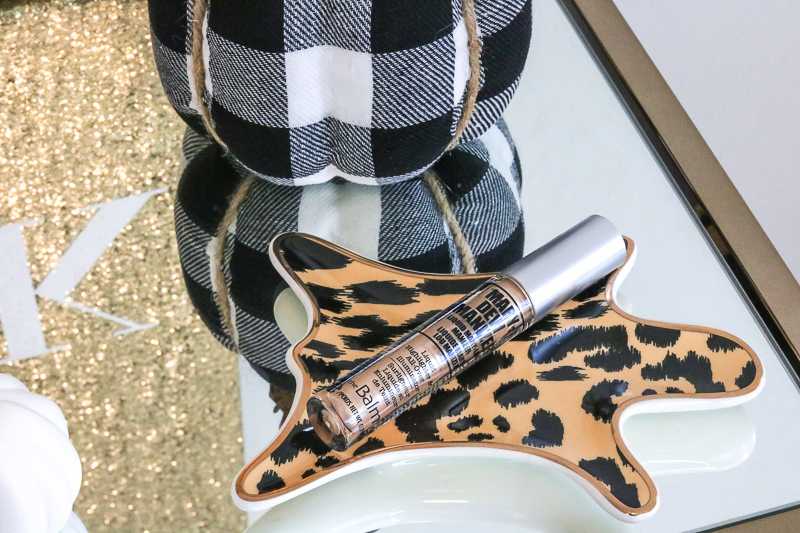 The first is a super pretty illuminating liquid highlighter that is really easy to apply. 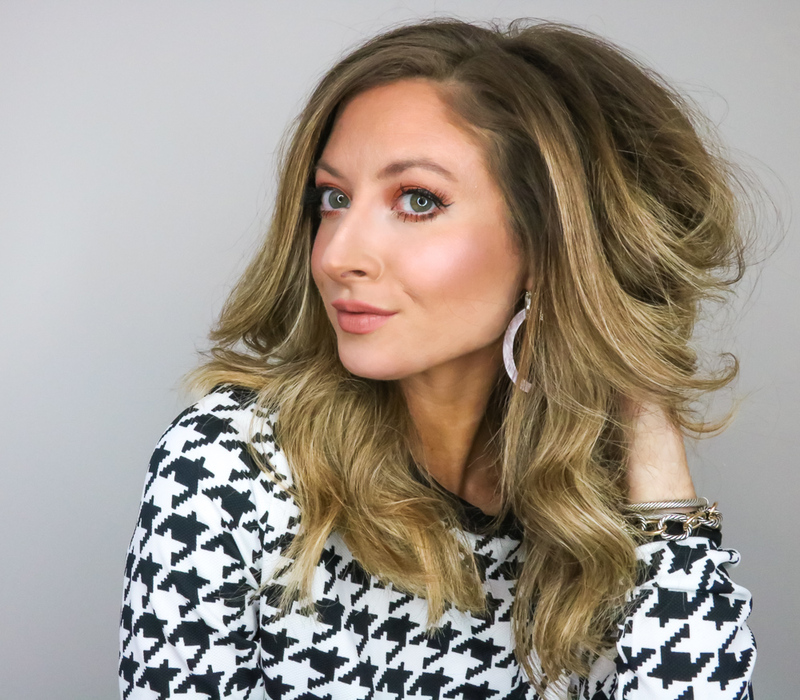 During the Fall and Winter months, I try even harder to keep a dewy, luminous complexion and Mary-Dewmanizer (love the name hehe) is where it's at! Since the product is liquid I applied it on my brow bone, bridge of my nose, and high points of my cheeks before using powder so I could easily blend it in. A little goes a long way! You can use your finger or a flat top brush to carefully press the product into the skin (without smearing). This would also look beautiful on a no makeup or very light makeup day to give the skin a beautiful glow. THE BALM TAKE HOME THE BRONZE (Oliver) - This is the second product I picked up from theBalm. 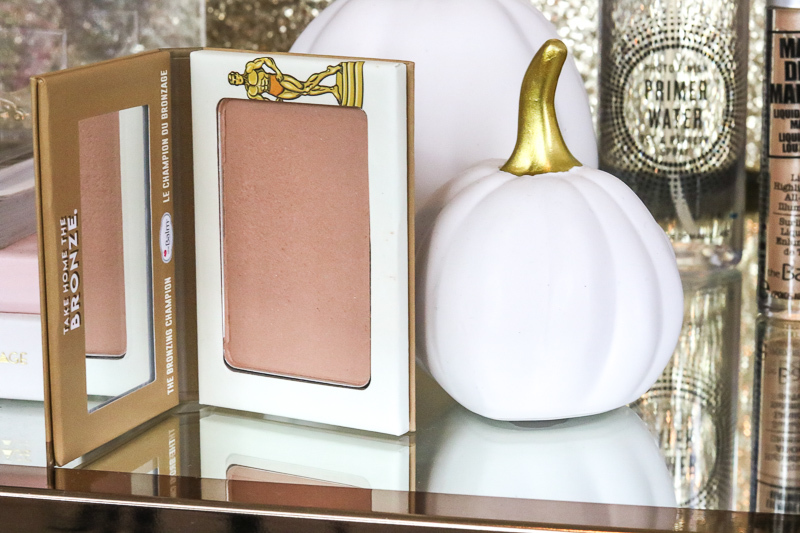 I'm very (VERY) picky about my bronzer and I was SO pleasantly surprised by Take Home The Bronze! The color is actually formulated to be "anti-orange" and it really is. The color payoff is really nice and it applied very smoothly - it has a nice buttery texture! I definitely recommend trying as it's a great price point and a fab way to add some color to the skin during Fall. 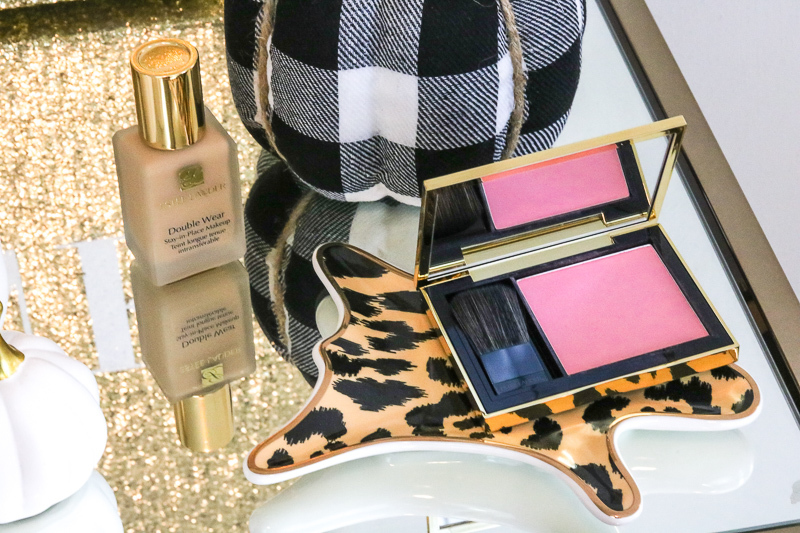 ESTEE LAUDER SCULPTING BLUSH (Pink Tease) - This is by far my favorite! And it definitely helps that it's the prettiest shade of baby pink! It's a really nice size so it should last a long time - and the pigment is beautiful. The first time I used this color I had one of those "OMG so pretty!" moments and knew it was going to be my end of the year go to. Seriously love it so much! Make sure to check out Stage for their Pinktastic Beauty Bash! I've listed some of my favs sales below but make sure to check out the site for all of the fun deals to be had. There are a bunch! Today you can get 30% off theBalm! Thank you again to Stage for sponsoring this post!